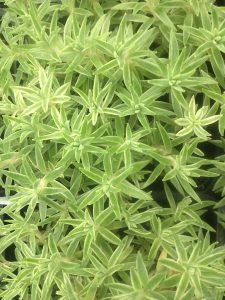 Linerare ‘Variegatum’ creeping stems with thin narrow leaves. 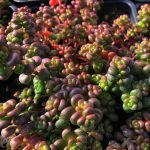 You’ll easily see why this gorgeous variety is called ‘Sea Urchin’. 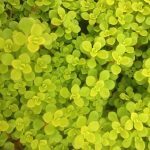 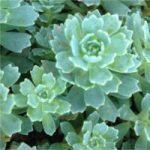 This sedum’s distinctive cream-colored leaves with a dark green strip through the foliage and yellow blossoms in mid-summer make it an instant classic in any garden or container.